Everyone who came through understood that Kinoma Create is an ideal platform for prototyping IoT products. 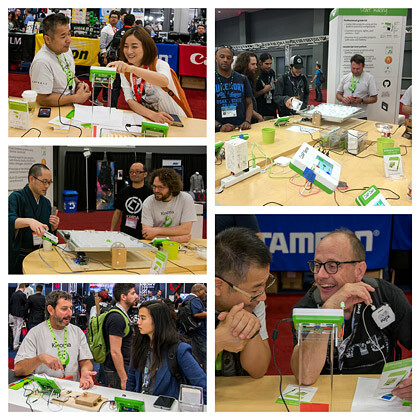 The tradeshow was also an opportunity to connect in person with the early adopters who supported our Indiegogo campaign (kicked off at last year’s SXSW). 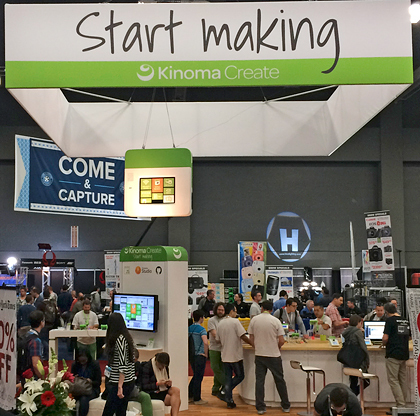 The Kinoma Create demos were the focus of our booth, and they illustrated the various ways connected devices could be programmed, built and managed. Everything from NFC, CoAP, beacons, sensors, and ZigBee were used to connect and control robots, security systems, home automation, games, and more. We were delighted to give a tour of Kinoma Create to Megan Smith, United States Chief Technology Officer and Assistant to the President. She’s having a great influence on Pennsylvania Avenue. Writer, speaker, futurist, design instructor, and SXSW regular Bruce Sterling stopped by our booth, taking in all the demos. We will definitely be back to Austin for SXSW 2016. In the meantime, please connect with us at other upcoming conferences and trade shows in the remainder of this year. Kinoma Create officially launched on October 21st with a week of activities: conferences, public speaking, exhibiting, and celebrating. It was the culmination of months of listening to early adopters, iterating the product, priming the pump with industry event participation, refining the development tools, and building out the developer support system. When you have the backing of enthusiastic crowdfunders, and you’re as committed to completely rethinking product prototyping as we are, it’s a labor of love. Over at the Mission Bay Conference Center, the team launched Kinoma Create as part of Gigaom Structure Connect. 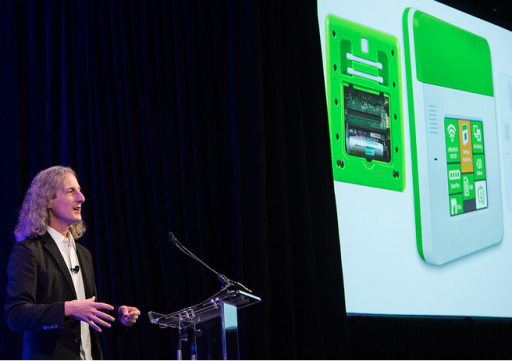 Peter Hoddie took to the main stage to share our firsthand “How We Built It” experience, focusing on the critical prototyping phase of creating a product. Our talk was foreshadowed in a by-lined article penned for Gigaom’s editorial site. 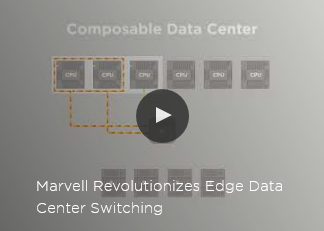 Marvell was a proud sponsor of Garage@Connect, a program within the event that showcased startup companies and their very new product concepts. As part of this, Peter introduced Garage@Connect to attendees, encouraging them to consider the garage–a storied place of tech innovation–as a state of mind rather than a physical location. 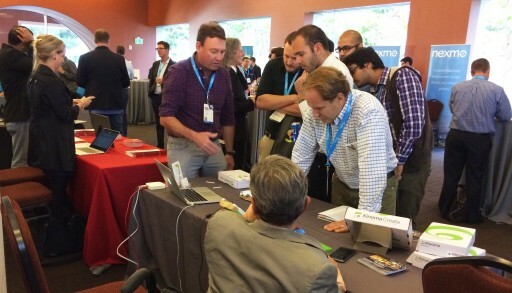 Throughout the event, we were able to talk one-on-one with attendees who visited our table. Many were interested in Kinoma Create as a product from Marvell, offering them a path from prototype to mass production. The launch of Kinoma Create also got the attention of the media, and we were able to conduct several press interviews while at the event. 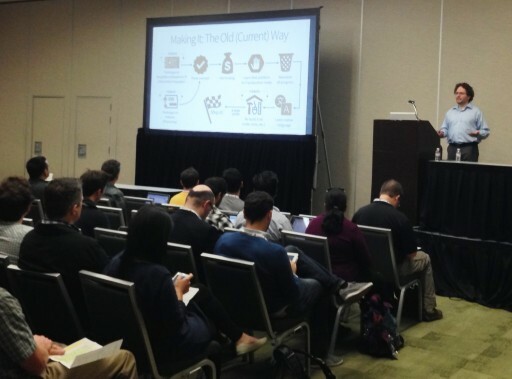 Gigaom Structure Connect was a valued opportunity to connect directly with those interested in a complete re-think of IoT product prototyping. We closed out the event by participating on a panel with other speakers. Topping off a very active launch week, we held a little celebration with the wider Marvell team that in various ways contributed to the making of Kinoma Create. 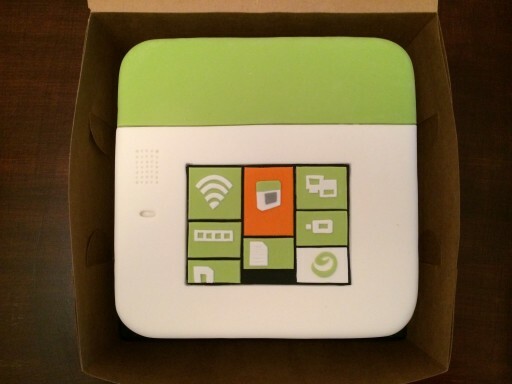 And what better way to celebrate than with a cake that looked exactly like the device?